so that nothing comes out of your hands which is not an expression of pure and harmonious beauty. And the Divine help will always be with you. In the world of forms a violation of Beauty is as great a fault as a violation of Truth in the world of ideas. For Beauty is the worship that Nature offers to the supreme Master of the universe; Beauty is the divine language in form. And a consciousness of the Divine that is not translated outwardly by an understanding and expression of Beauty would be an incomplete consciousness. Beauty is his footprint showing us where he has passed, Love is his heart-beats' rhythm in mortal breasts, Happiness the smile on his adorable face. Be sincere and absolute in your consecration to the divine and your life will become harmonious and beautiful. Small delicate snowy racemes of highly fragrant tiny starlike white flowers. 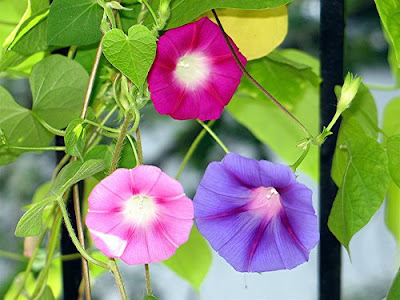 A light thorny vine with drooping stems and curved needlelike leaves. Transfixed in an immutable beauty. 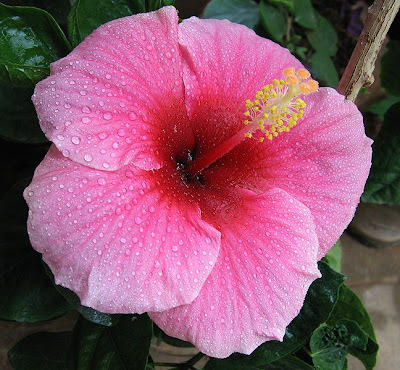 Medium to large showy sessile flowers with few to many rows of delicately sculpted rounded petals symmetrically arranged in a circular form; white through pink to red and bicoloured. A large evergreen shrub with glossy leathery leaves. A beauty that blossoms freely and abundantly. 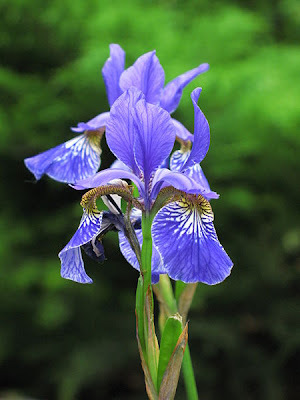 Small to medium, occasionally large, delicate open bell-shaped or funnelform flowers with five deeply cut overlapping petal-like lobes and long exserted stamens; borne in dense clusters in a great variety of colours. There are more than 800 species of shrubs(or rarely small trees). So perfectly formed that it compels admiration. 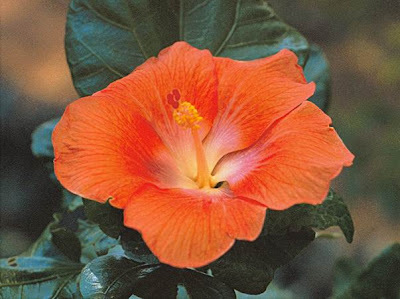 Large showy often fragrant flower usually with three erect and three softly recurved petals that may be bearded or crested; occurring in a wide variety of shades and colour combinations except pure red. A rhizomatous or bulbous perennial herb with sword-shaped leaves. 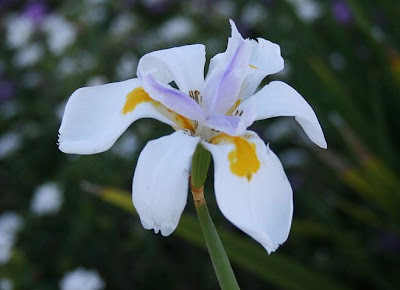 Medium-sized irislike flower with a centre of three erect incurving lavender crests and six flat rounded white petals, three of which are wider and have a prominent golden orange mark from the base to the centre, and three alternate petals, narrower and spotted brown at the base; blooming singly at the ends of branching spikes. 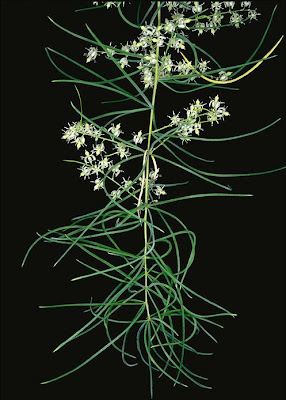 A rhizomatous herb with bladelike leaves. Beauty acquires its power only when it is surrendered to the Divine. Large mildly fragrant striking yellow flowers with a prominent trumpet surrounded by six spreading petals; borne singly on sturdy scapes. 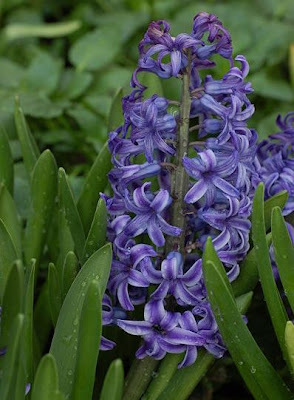 A spring-blooming bulb. Beauty is no longer sufficient unto itself; it wants to become divine. 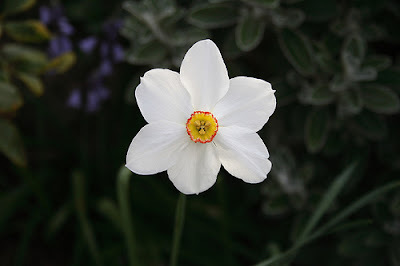 Medium-sized very fragrant snow white flower with six rounded or pointed petals and a small orange or yellow central cup; borne singly or in umbels on scapes. 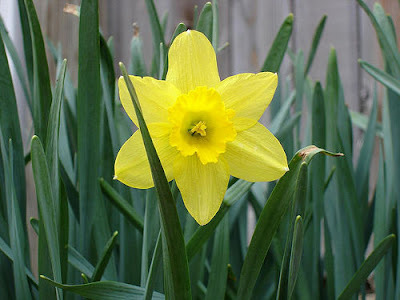 A spring-blooming bulb. Likes to show itself and be admired. Small intensely fragrant narrow funnelform flowers with six spreading to reflexed lobes, in white, yellow, pink, red, purple or blue; borne in a dense raceme on a short scape. A spring-flowering bulb. It blossoms without attracting attention. Tiny round white flowers with five slightly recurved petals; borne in graceful airy sprays. A low branching annual or perennial with narrow lanceolate leaves. Nature is happy to be beautiful. 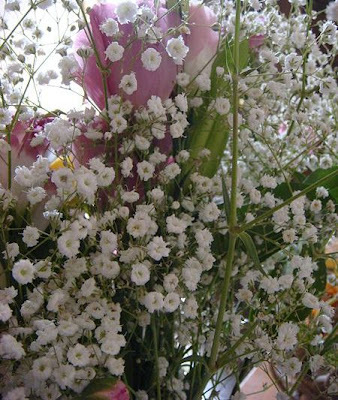 Small delicate white to pink single or double flowers with rounded petals and many stamens; borne in clusters of three to five. 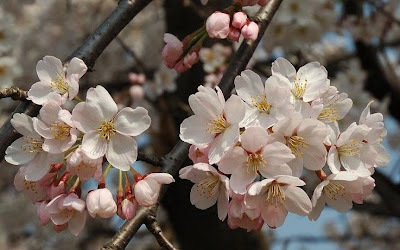 A medium-sized very ornamental tree covered with flowers in spring. Beauty is the joyous offering of Nature. 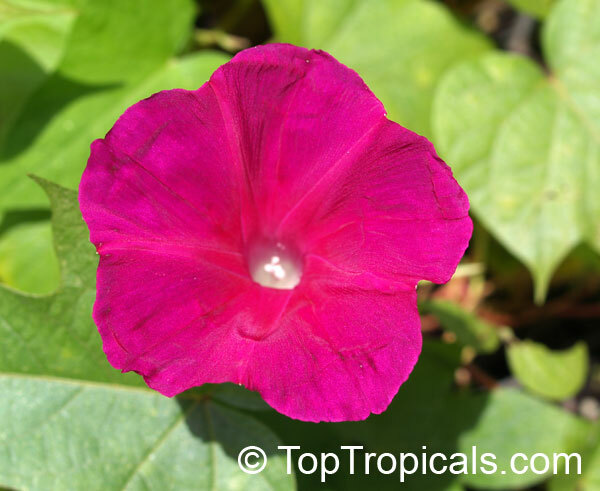 Large striking bright magenta funnelform flower; borne singly or in small clusters. An annual climber. Delicate and magnificent, it has an incomparable charm. 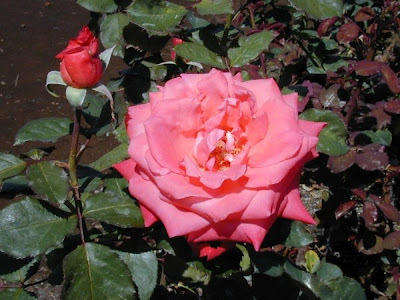 Large showy rose pink funnelform flower with a white border and throat; borne singly or in small clusters. An annual climber. Can be acquired only through a great sense of purification. 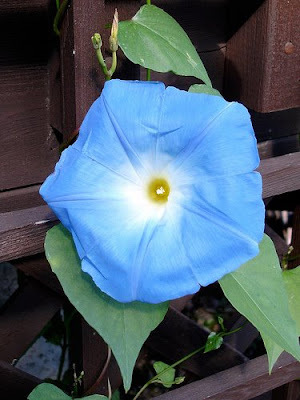 Large lovely translucent sky blue funnelform flower with a yellow throat; borne singly or in small clusters. An annual climber. It is a spontaneous and effortless offering. 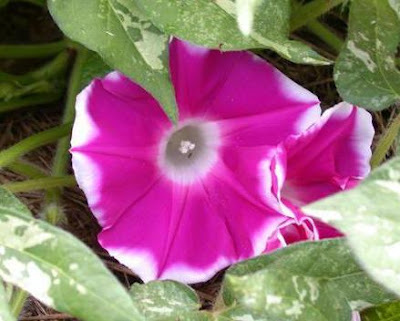 Small to large showy, usually funnelform flowers in white and shades of red, pink, purple and blue; borne singly. Mostly climbing annual or perennial herbs. The significance includes all Ipomoeas not specifically named by the Mother. A beauty that displays itself and allows itself to be contemplated. 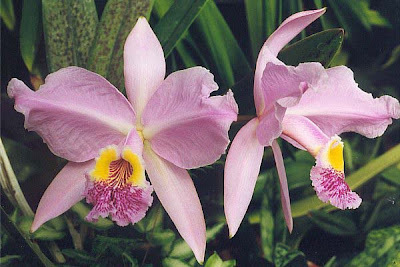 Large showy fragrant single or double bowl-shaped flowers with broad slightly recurved and often frilled petals; in white, yellow, purple, red and pink; borne terminally, one to many. A floriferous perennial herb or shrub that is among the most popular garden plants in temperate climates. Each element plays its part in the whole. 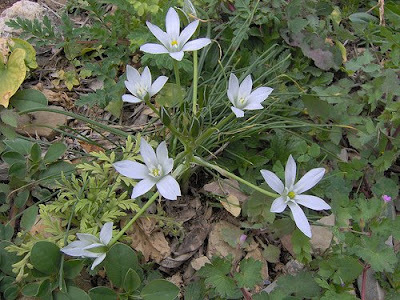 Small white star-shaped flowers with six pointed petals; borne in compact many-flowered racemes. A small bulbous plant with narrow leaves. 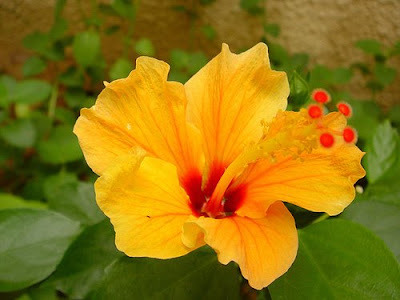 Medium-sized single light golden orange flower with orange veins and a deep red centre. 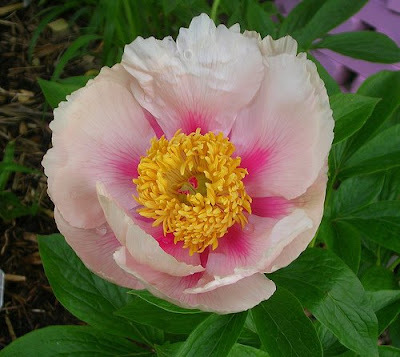 Another form is a large single deep salmon pink flower changing to cream yellow at the edges of the petals, with a deep red centre. 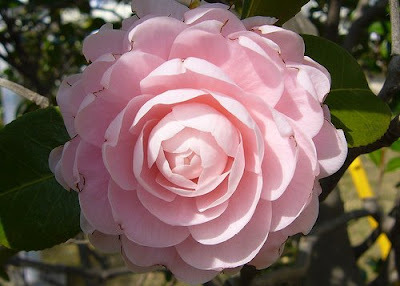 Large single salmon pink flower with broadly overlapping rounded petals, a small pink centre and a pale pink aura. 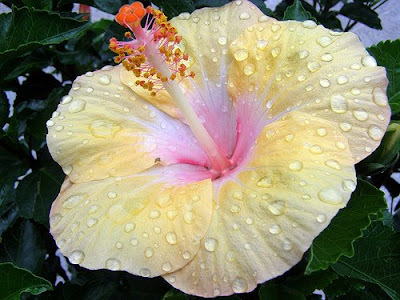 Another form is medium to large with each petal delicately shaded yellow and a pale pink aura. Exquisite in its freshness, powerful in its undeniable beauty. 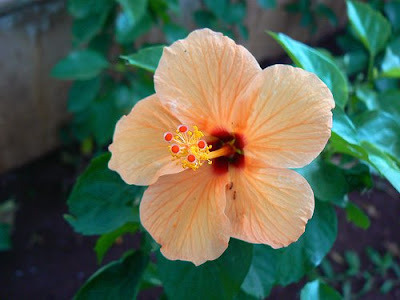 Medium-sized single flower with recurved soft salmon orange petals specked with pale yellow, reddish veins and a red centre. The new creation strives to better manifest the Divine. 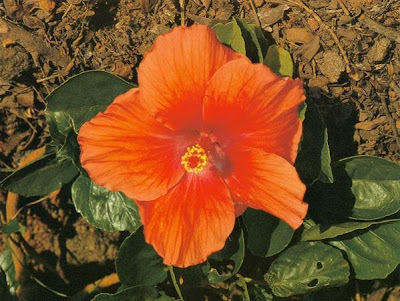 Large single crimson pink flower with soft heavily crinkled petals that shade to pale pink on the edges and a dark red centre. The beauty that will express Divine Power. 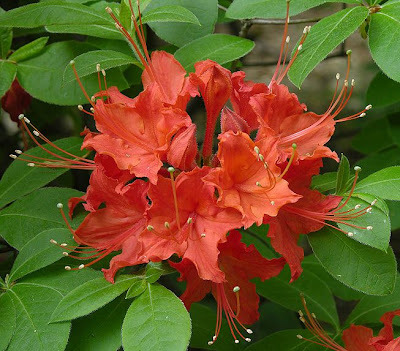 Large single flowers in light or bright orange shades, with or without a variously coloured, but not white, centre; the flowers open pinkish orange and change into yellow orange during the day. A beauty that exists only by and for the Divine. 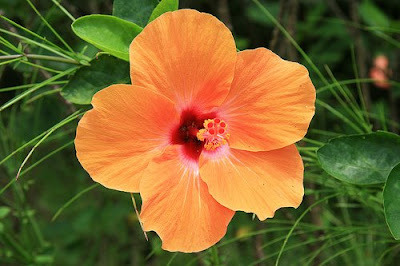 Large single flowers in shades of orange, with a striking white centre and often with a pale pink aura. Spiritual beauty has a contagious power. 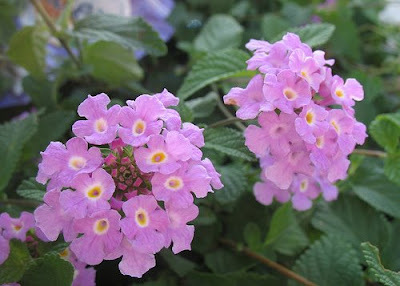 Medium-sized or large single salmon-orange to golden-yellow flower with soft crinkled petals, deep magenta centre and silver-white aura. When it has removed the ugliness of life. 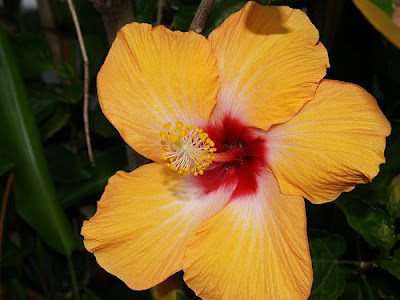 Large single flower with crinkled petals in golden ochre to mustard with a very deep red or vermilion centre and a silver grey or pale lavender aura. Incomparable splendour, it becomes a modest servitor. Medium to large salmon coloured flower. A large shrub. Seeking and radiating all the emotions of beauty. Tiny mauve salverform flowers in round compact axillary or terminal heads. 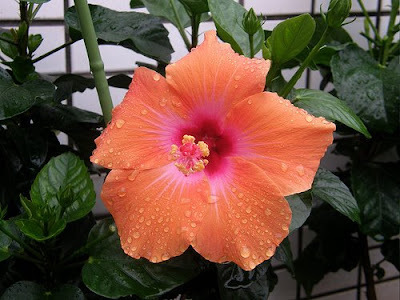 A vigorous shrub with coarse strongly scented leaves and a long blooming season. When the physical world manifests the splendour of the Divine, all will become marvellous. Lavender pink flower with a lime green throat marked with magenta.Large fragrant flower with three narrow petal-like sepals held behind two wide horizontal trilled petals and a third lower petal modified to form a showy lip; borne in few-flowered racemes. An epiphyte with thick stiff leaves and pseudo-bulbs. Immaculate whiteness, sweetness and purity, you seem to come from another world. 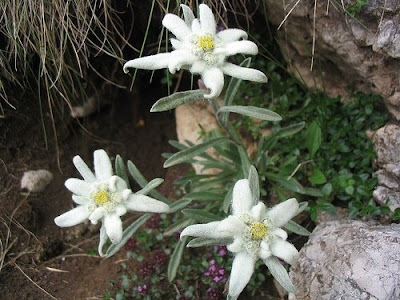 Small tight terminal clusters of white or yellowish white starlike flowers with a tufted centre surrounded by greyish white petal-like bracts. A low woolly perennial herb with greyish leaves.